Katelyn Freeseman, a research engineer for the Bridge Engineering Center, has been promoted to assistant director of the center. “I’m excited about the opportunities BEC has given me, and I look forward to increased leadership in the center,” Freeseman said. Freeseman provides research project and management skills to the center and the National Center for Wood Transportation Structures, both of which are a part of Iowa State University’s Institute for Transportation. She promotes and advances multi-disciplinary research within InTrans and across campus groups. In her new role, she will be involved in higher-level management tasks and playing a bigger part in all of the projects going in and out of the center, while continuing her own research and work. Freeseman, who joined InTrans in 2016, has worked on many research projects and shared her work through peer-reviewed journal articles and technical reports. She currently focuses on improving the constructability of complex bridges, use of accelerated bridge construction (ABC) materials and failure-avoidance through innovative scour measures. Freeseman also serves as an adjunct assistant professor in ISU’s Department of Civil, Construction and Environmental Engineering. 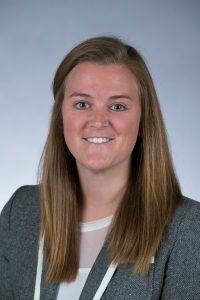 Freeseman, a Pella native, earned her bachelor’s degree in civil engineering at Iowa State University before getting a master’s and doctorate at the University of Minnesota in structural and civil engineering, respectively. She previously served as an undergraduate research assistant during her time at Iowa State before returning to work at the BEC.